I was wrong, oh so very wrong. When I first heard Aston Martin was going to start putting AMG’s rather lovely but brash twin-turbo 4.0-litre V8 into their cars I was worried. I thought the raucous character of the AMG engines wouldn’t suit the more elegant Aston vehicles, but I’m glad to have been proved wrong. 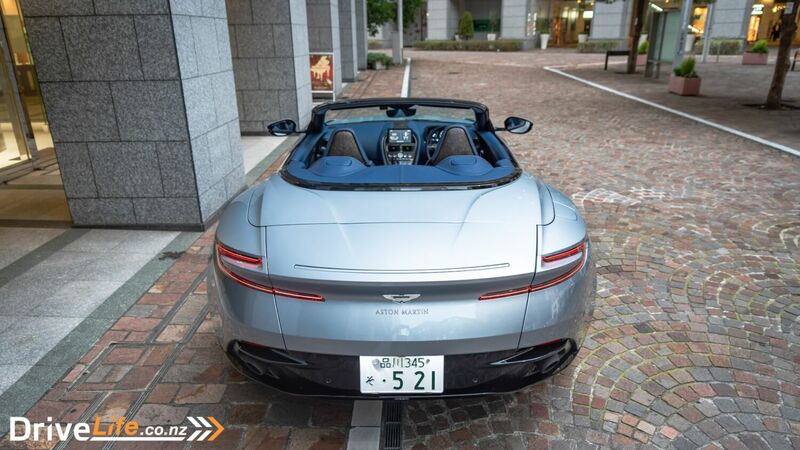 While we all mourn the naturally aspirated Aston V12 (an engine I consider will go down in history as one of the best sounding and smoothest in history), the current times dictate for engines to downsize and incorporate some sort of assistance be it forced induction or electricity. 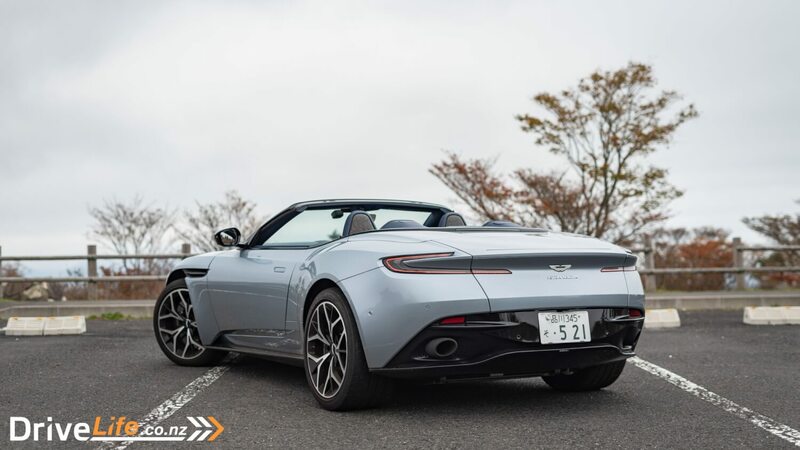 The DB11 is the first Aston to be powered by Aston and Daimler’s recent technical partnership and as engines go, the AMG 4-litre is a great place to start. 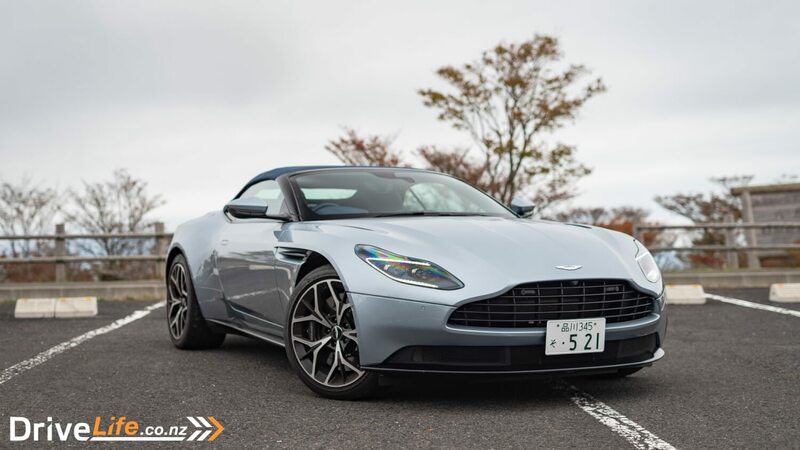 You can also get the DB11 with a 5.2-litre twin-turbo V12 but that’s only reserved for the coupe. 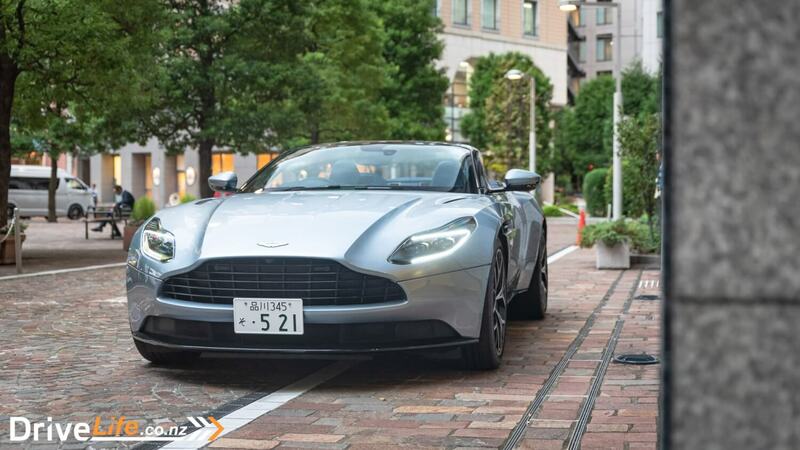 That engine gives the DB11 a proper old-school GT feel. But if you want your GT with a bit of sportiness the AMG V8 is a perfect fit. You can have the V8 in the coupe too or in the Volante. There’s no V12 drop top yet. Prices for the DB11 starts at $295,000 for the V8 coupe and topping out at $365,000 for the V12 Coupe. The Volante fits nicely in between at $315,000. My test car painted in Skyfall Silver comes in at an estimated total of $337,000. 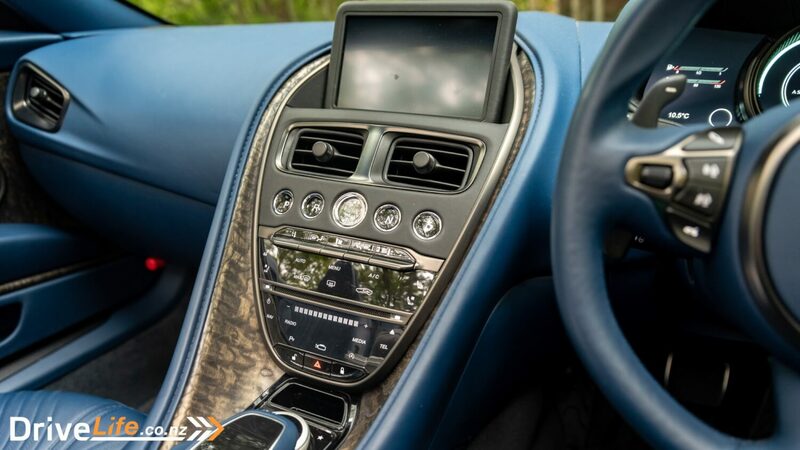 Though Aston didn’t disclose the spec sheet, it did without carbon fibre trim and didn’t have the uber-cool but uber-pricey Bang & Olufsen sound system. It did have the brogue leather option which looked and felt amazing. But it goes to show even the smallest bit of personalisation can bump up the price. 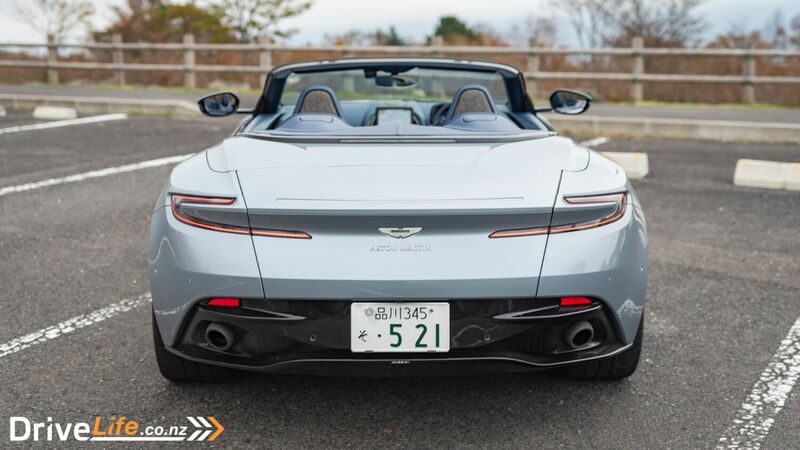 I’m a sucker for a convertible, even more so for a convertible Aston Martin. The DB11 coupe is a fine looking car but I’m not a massive fan of some of the details such as the ‘floating’ C-pillar. With the Volante that’s not much of an issue. Roof up or roof down it just looks so much more dramatic. 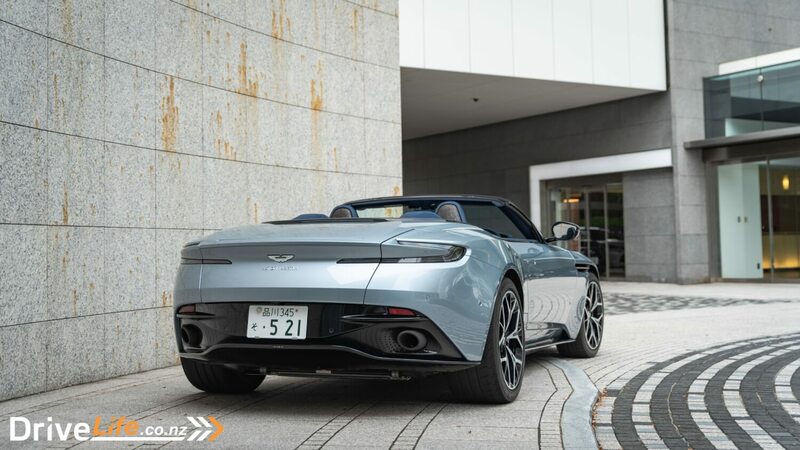 It’s a rare thing for a convertible to look good with the roof up but the DB11 pulls it off. Of course, top down is much better. Just don’t look too closely at that beautiful body though, the inconsistent panel gaps remind you this is a handbuilt product from the U.K. A mass produced German sports car this is not. Even though it’s a bit of a flash car it doesn’t attract too much unwanted attention. Most people who look recognise the Aston badge and that film franchise associated with it. Others are just admiring the beautiful design but it’s all positives. 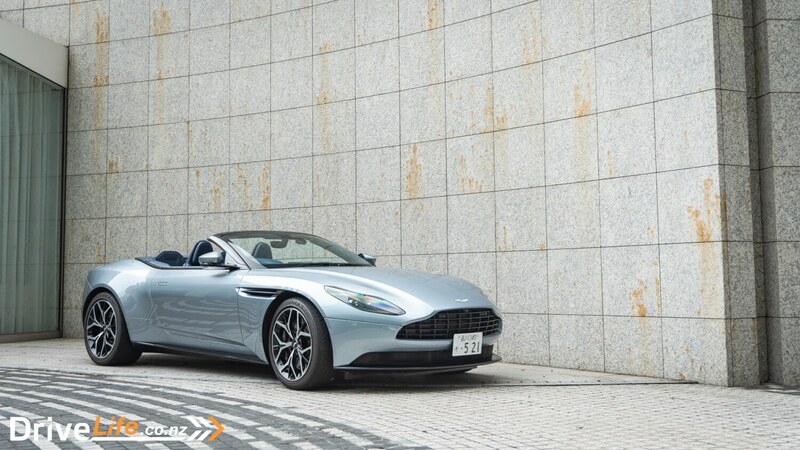 There’s something about an Aston Martin that makes people react differently to a Ferrari, Porsche, or even McLaren. It’s literally in a class on its own. As beautiful as the exterior is, the interior is just as special. The best thing was getting in and everything felt quality and tactile. 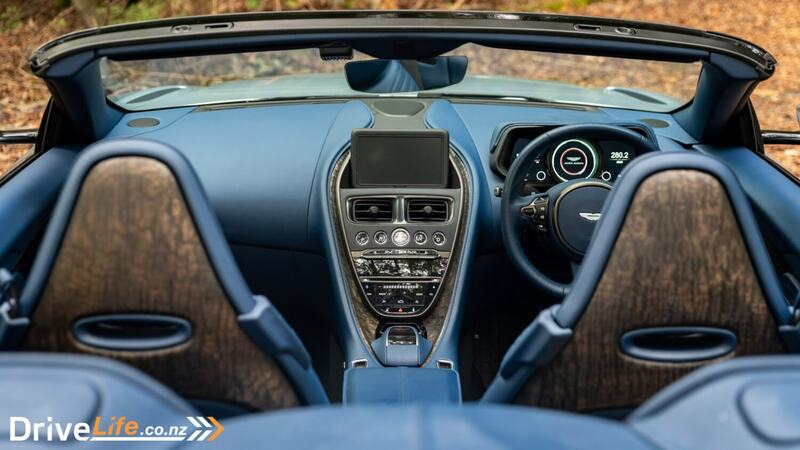 In the old Vanquish, which had a beautiful jewellery-like interior, it felt fragile – like touching the wrong thing might cause it to break. This felt more robust and well put together. 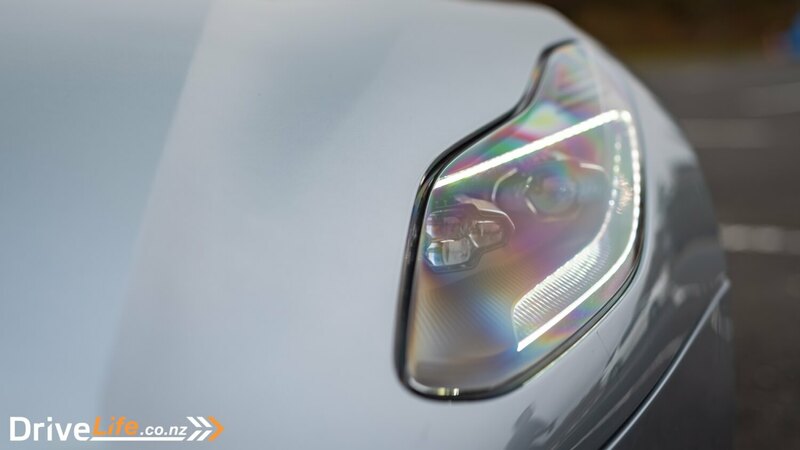 The materials in an Aston Martin are as good as you’d expect and some. Whoever chose the spec on this test car deserves a round of applause. 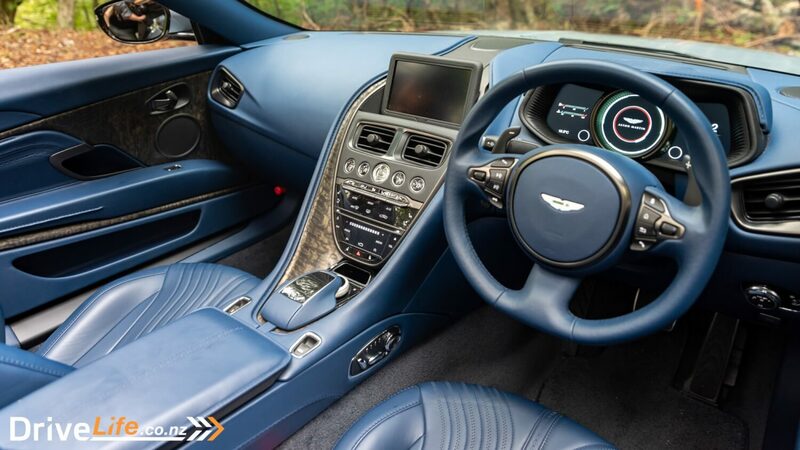 The full blue leather interior matched the Skyfall Silver exterior perfectly. The dark wood finish adds a touch of old school class as well. There are several trim finishes available such as various woods, piano black, and crushed carbon. In a car like this wood is the way to go. There’s also a plethora of colours for the leather. 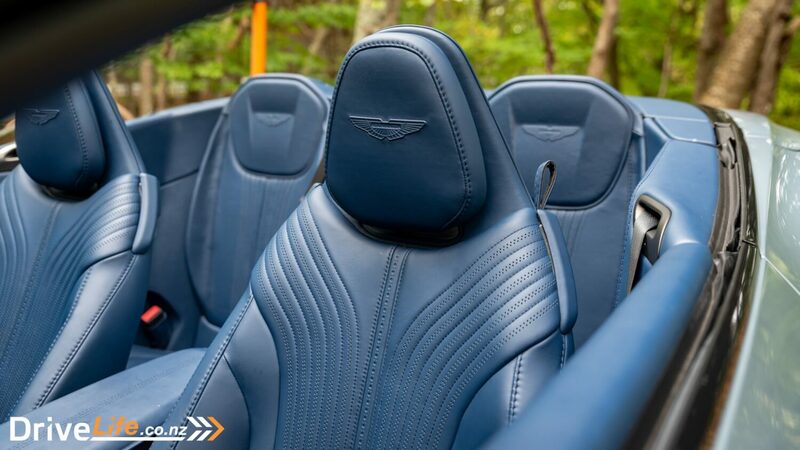 Basically, the sky’s the limit when it comes to the interior finish. 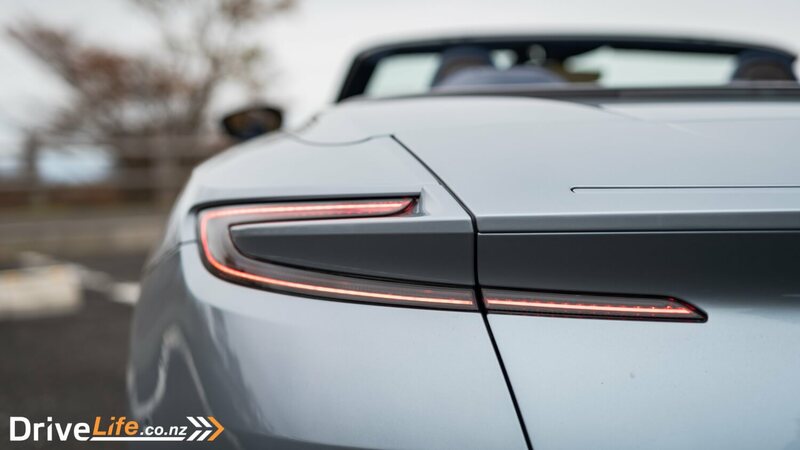 In the DB11, being the first car from Aston Martin’s ‘Second Century Plan’, everything is nice and modern. 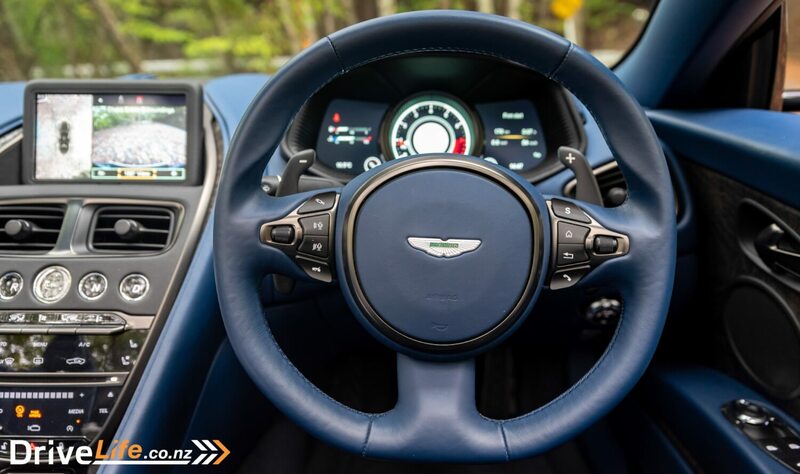 Compared to the old Vanquish – a car I still truly adore despite all its flaws – the DB11’s interior is noticeably from this century. 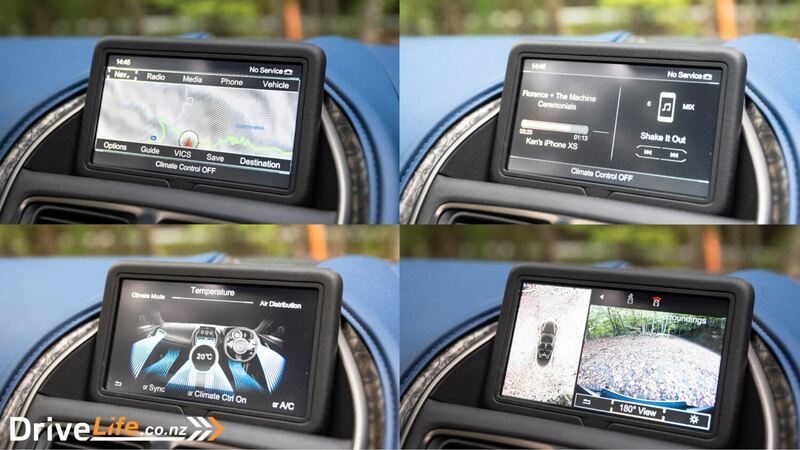 You now get a full digital dash that changes depending on the drive mode you’re in. The big news is the new infotainment from Mercedes. 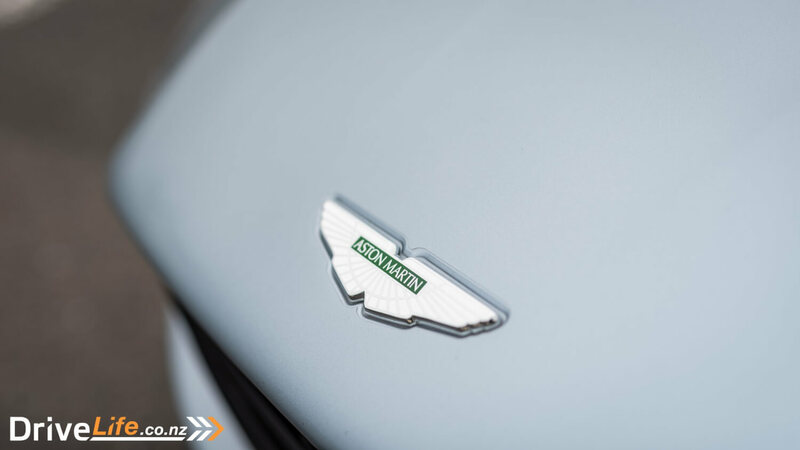 As part of the deal Aston Martin gets the generation behind the current Mercedes infotainment but that’s not necessarily a bad thing. The current Mercedes infotainment is unnecessarily complicated whereas the system in the DB11 is much more intuitive to use. 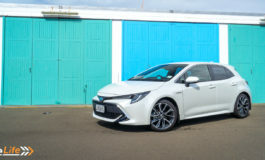 The sat-nav, bluetooth connectivity, and parking cameras are notable highlights. All three a massive step forward from the ancient system used in Astons of old. It’s not all perfect though; some of the Mercedes switchgear looks out of place in a $300,000 car. That stuck-on central screen could’ve been better integrated. Personally I would’ve preferred if it retracted away into the dash. The plastic stalks could’ve been hidden better or at least wrapped in an appropriate material. 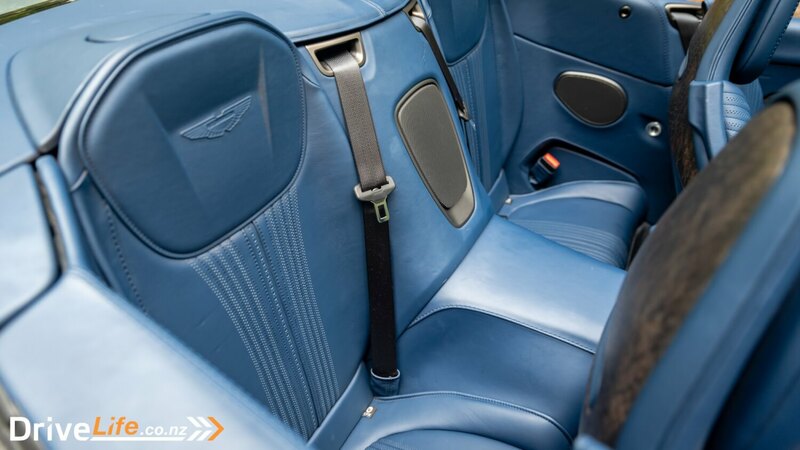 The interior of the DB11 has so much leather you’ll notice three plastic stalks quite easily. There’s also no option to have Apple CarPlay or Android Auto. A minor niggle but a niggle nevertheless. The rear seats are also laughable. Okay, you can fit people in the back but only if the roof is off and if the front seats are uncomfortably forward. Otherwise it’s best left for as additional storage space as the boot is quite small. 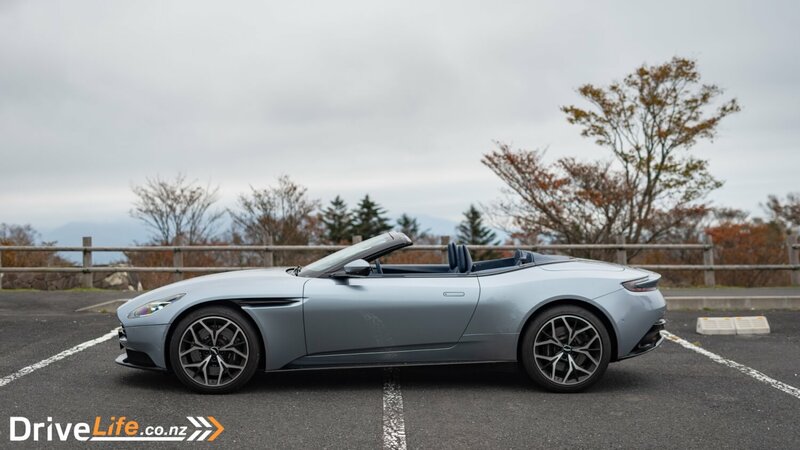 Funnily enough it does have ISOFIX should you need to take your DB11 Volante on a school run. 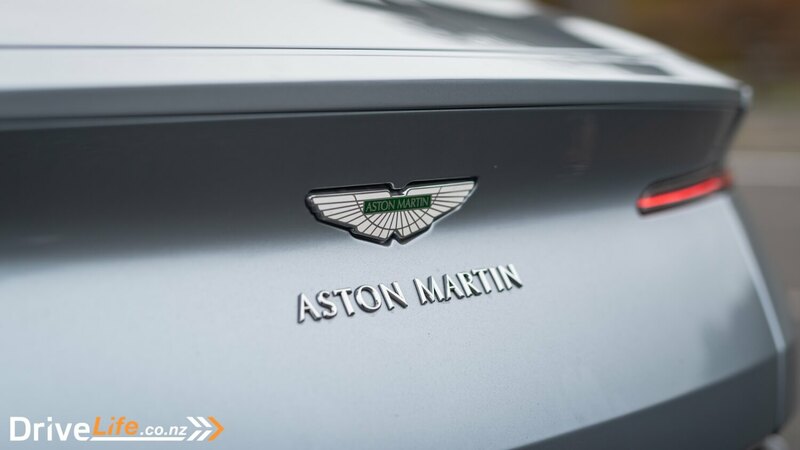 There’s no other car on the market that makes people feel as special as an Aston Martin. There’s something intangible about the experience one gets just from sitting in one. The feeling alone makes it worth the asking price. Other cars in the price range just don’t feel as special as an Aston. Push the glass starter button (it’s all keyless now so there’s no need to slot they key into the dash) and listen to the V8 roar into life. Starting it up, you can hear the AMG connection. 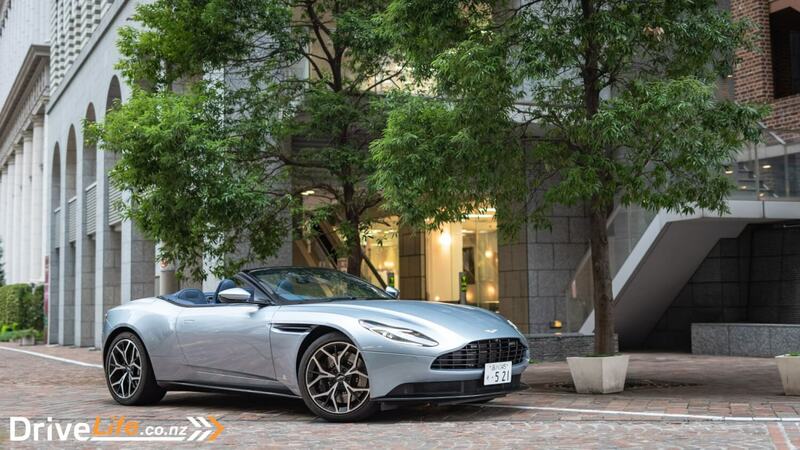 Because this is an Aston Martin there’s no ‘eco’ or ‘normal’ mode, nothing about an Aston is normal. Instead you get something called ‘GT Mode’ which just makes you feel like you’re about to set off on a cross continental trip every time you start a journey. GT Mode does exactly what it says; this is cruising mode. You can change the suspension and powertrain via buttons on the steering wheel. There’s also Sport and Sport+ modes. On the motorway it’s best to just leave the brilliant 8-speed ZF auto in D and everything in GT Mode. The suspension is supple enough to take care of bumps on the road while the engine is torquey enough to overtake should you need to. It’s such a brilliant cruiser. Put the 8-layer fabric roof up and it’ll isolates you from the rest of the world as if it was a coupe. It doesn’t encourage you to drive like a lunatic like an AMG or other supercar would. But even in 8th gear you can still hear enough of the engine to remind you that you’re in something special. 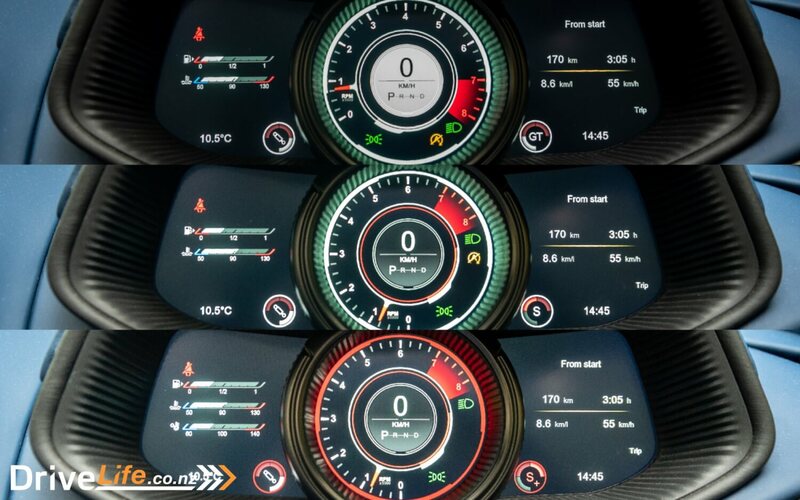 Sport mode holds gears longer and changes the instrument cluster to red. I found myself using Sport powertrain and GT suspension in town more often, just because Sport brings more noise. Sport+ opens up the valves for even more obnoxious noise. 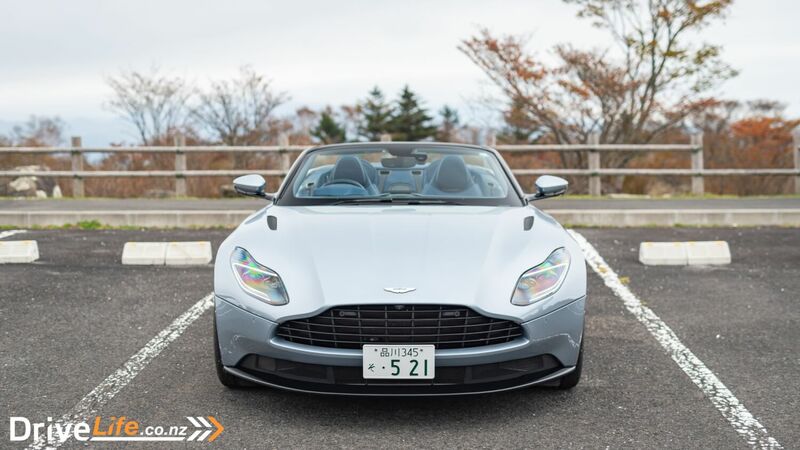 This engine gives the DB11 a true dual characteristic. At a touch of a button it can go from mature cruiser to a popcorn machine. I was surprised by how much this car pops and bangs. 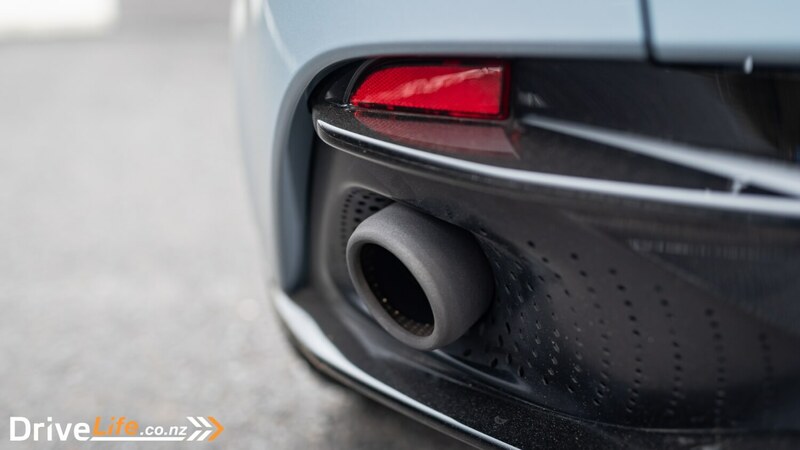 Aston Martin have tuned the exhaust to their specification, and it’s worked. 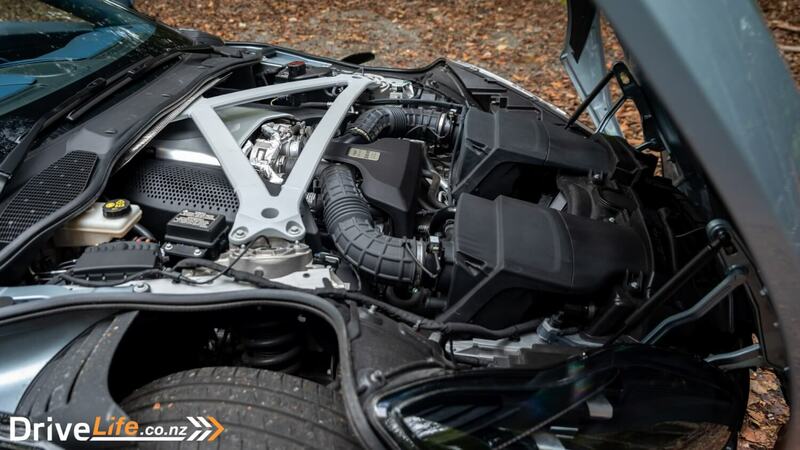 This engine sounds more svelte than in an AMG GT. That said, in Sport+ lift off from 2000rpm and it makes a true Aston Martin burble. The engine pulls and pulls. It’s a bloody good engine this. 380kW of power and 675NM of torque is more than plenty, while not class leading. I can’t believe I’m saying this but it was also relatively economical, especially compared to the last time I drove an Aston Martin. 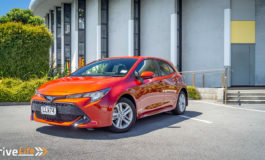 The 78 litre full tank lasted around 450 kilometres and that included driving in the city, motorway, and an afternoon on a mountain road. This is the sort of car you could comfortably drive across continents, which is sort of the point of it. But don’t think for a second you can’t have fun on twisty roads either. Because of the smaller V8 up front, the steering was surprisingly sweet. The balance of the chassis is impressive, there was little flex from the chassis. It’s definitely up there with the sportiest in this segment. The weight distribution is 47:53 which helps give it a much tighter turn in. 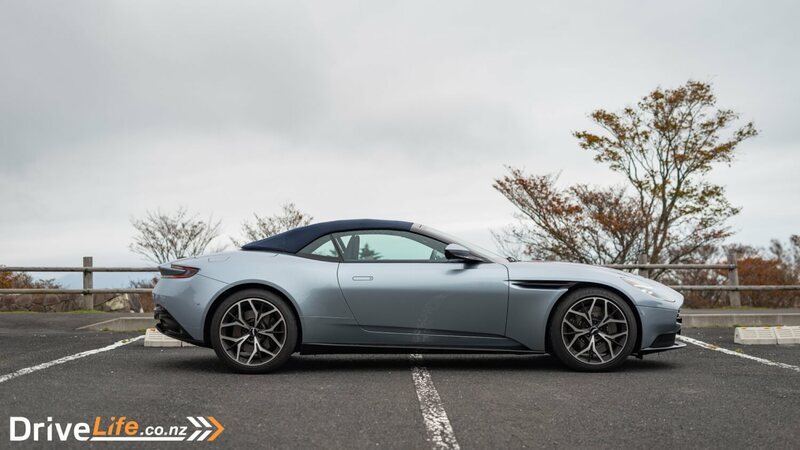 Granted, most buyers aren’t going to care about that but I wasn’t expecting to be able to throw the DB11 around so much on a mountain road, let alone actually enjoy it. Far too often these big GT cars are one-trick ponies. They’re fast in a straight line on the motorway but take them on to a road with twists and they start showing chinks in their armour. Not the DB11. It’s a true sports GT. It also has lots of features to help make it easy to live with everyday. 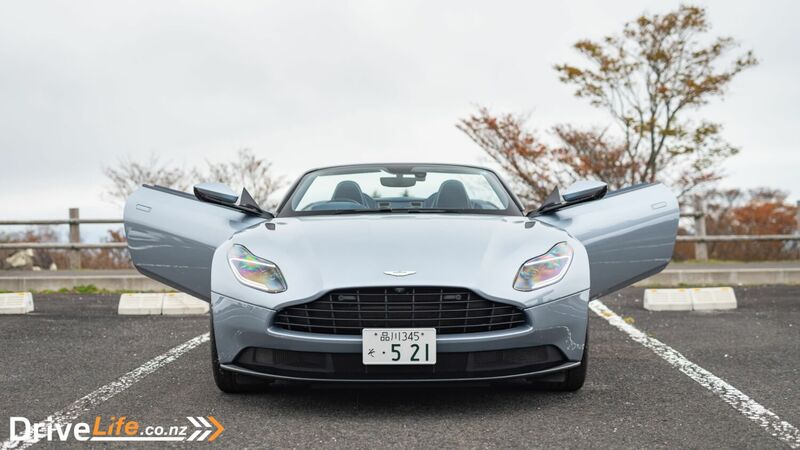 For an exotic, the front isn’t stupidly low so you don’t need to worry about scraping its pretty nose. 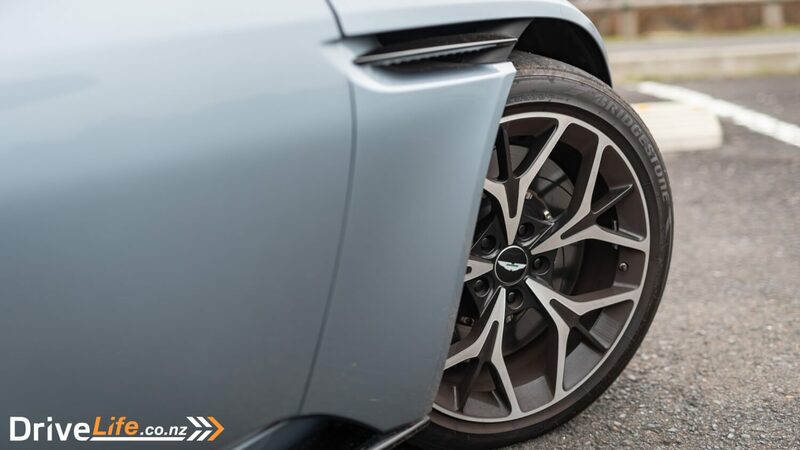 In fact, the DB11 had the best ground clearance of any exotic car I’ve driven. There’s no lift system available because it doesn’t need one. What it does need is blind spot assist, which it luckily does have because with the roof up rearwards visibility is atrocious. Driving with a blindfold would be more effective at seeing out the back. That said, with the top down visibility is great so it’s just best to drive with the roof down as often as possible. Gone are the old days of howling naturally aspirated V12s, and in are turbos. 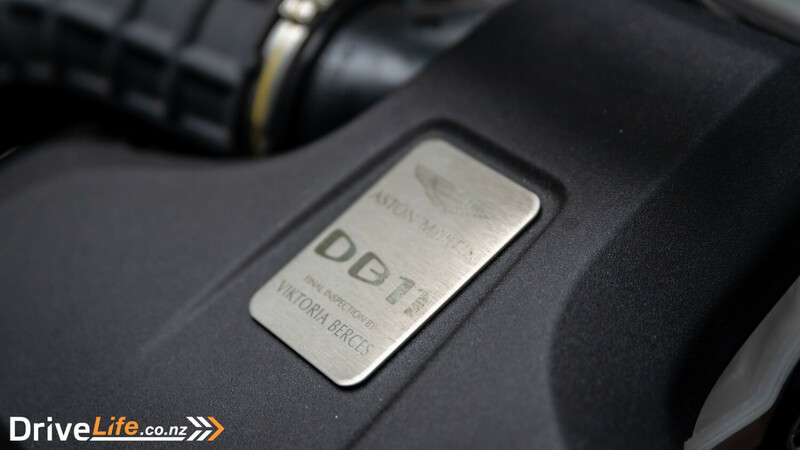 It’s something we have to accept and Aston have done a good job easing us into the world of forced induction by taking one of the most charismatic turbo V8s in the business and giving a proper Aston twist. As much as I wanted to criticise an Aston with an AMG engine, it’s just a very good package. 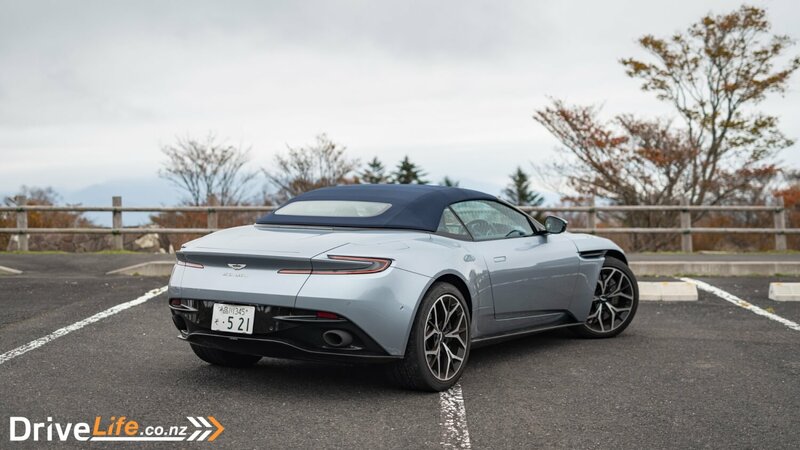 The DB11, in Volante form, is right up there with one of the best grand tourers around. 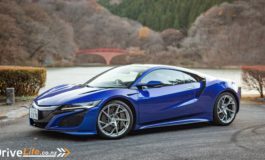 It can do long distance driving and urban commute without breaking a sweat while at the same time take it on a mountain road and it’ll surely provide lots of smiles. It might not have the headline grabbing numbers its rivals have but at the same time it’s not as pricey as them either. It’s hard to knock the DB11. Sure, the old Mercedes switchgear does stick out like a sore thumb in an otherwise gorgeous interior and there’s very obvious signs it’s a hand-built British sports car, but it’s oozing with character you could just about forgive it. But that’s what makes the DB11 so likeable, it feels unlike any other car on the market. It makes you feel truly special.